DINOSAUR JR - WHERE YOU BEEN VINYL (LP) | Online Shop | Wizard LTD. 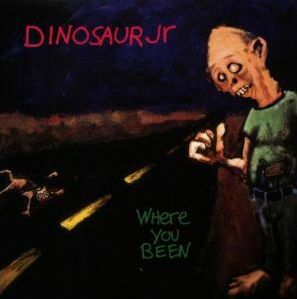 Album: "WHERE YOU BEEN VINYL (LP)"
The second of our Dinosaur Jr. remastered 180g re-issues, is their fifth official studio album &apos;Where You Been&apos; and was originally released in Feb 1993. This was the only Dinosaur Jr album between 1988&apos;s Bug and 2007&apos;s &apos;Beyond&apos; to be recorded entirely with a full band. During the bands major label year, Mascis performed most of the instruments himself. The album featured the single &apos;Start Choppin&apos; was their biggest hit, hitting number 3 on the Rock Charts in the USA and Top 20 in the UK Singles Chart.